A couple compete for top prizes (yep, you guessed it - more cuddly toys!) in the Palace Pier amusement arcade. 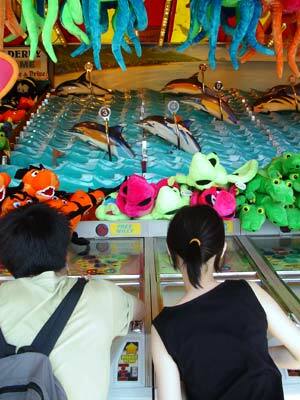 The challenge involves throwing balls under the glass: the more balls you throw, the faster your dolphin goes.